Recent studies show that up to 77% of potential homebuyers plan on using the Internet to choose their service providers. Spending thousands of dollars a year on a website that no one visits? Paying upwards of $250 per month on search engine optimization, for lackluster results? Getting results, but you are on the hook to your SEO provider - - the minute you stop paying them, your web traffic disappears. Getting clicks, but no clients? You can get hype-free, affordable search engine optimization services with long-lasting results. At http://www.close-more-loans.com, we practice organic search engine optimization. What is Organic Mortgage SEO? It's an affordable, practical, method of search engine optimization. With our brand of SEO, we focus on strategies that work. Confused by all of the search engine terminology? No worries. We've developed and taught search engine workshops for several years, and will explain everything to you in plain English. Keyword research. Choosing the right keywords (or key phrases) is one of the building blocks of an effective SEO campaign. All of the above. If you'd rather us handle the entire process, we will be happy to do so. What Sets Our SEO Services Apart? Our service goes beyond SEO to focus on generating business. For us, getting a client to the first page of Google is just the beginning. have multiple spots on the first page, which increases the chances you will get prospects to click through to your site. provide prospects with compelling information, to increase the chances they will click through to your site, and not the competition's. lead a prospect through to a conversion. At each stage of the process, clients know exactly what is going to happen and when. Here's an example of deliverables we provided to our client, a mortgage firm. Unlike many search engine optimization services that keep you "on the hook" indefinitely, our programs are designed for a 6 to 12-month period (depending on the amount of competition in your market). If you choose to have us handle additional services or maintenance after the 6-month period is up, that's fine. But it is your choice; we do not lock you into an indefinite contract. Strategy Session. Prior to the strategy session, we will ask you to fill out a survey. During a 45 to 90-minute strategy session, we will work together to quickly hone in on your most profitable products or services. Define Deliverables. We will present you with a list of deliverables, clearly outlining what you can expect and when. Monthly Monitoring. At the beginning of the process we will establish a base point. On a monthly basis, we will monitor your company's search engine position and traffic, while you keep us informed of the sales you achieve from your SEO. 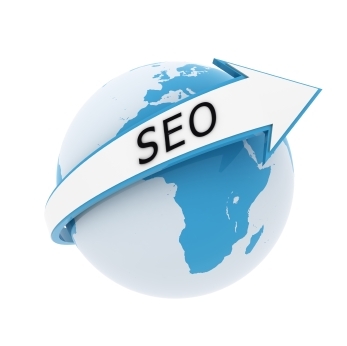 Search engine optimization can cost anywhere from a few hundred to several thousand dollars. Once we know how much you can invest in SEO over a time period, we will let you know which services fit in your budget. For our flat fee, affordable mortgage Internet lead packages, click here. Can you guarantee us a #1 listing on all the search engines? No, and anyone who says they can is a crook (read the fine print). We do offer a 100% money back guarantee on our optimization services: if you follow our recommendations, you will see a marked improvement in your ranking within 60 days or we will refund your fee. This guarantee, along with the terms and conditions, is included in our contracts. and receive 6 Steps to More Referrals.